Cloud. Cloud. Cloud… Cloud everywhere in the technoSphere, as if the sky has fallen down! The recent outburst of cloud computing is due to the free cloud storage for end users which instantly puts them in front of gigabytes of memory… for free. In this article, we shall have a brief look at what those services are and the best companies offering them. We usually carry data from one place to another in a pen drive. It’s easy to handle, you can put any kind of files into it, and at the end of the day, all you need to access that data is a computer. Cloud memory is also a kind of pen drive that carries your data, except that it carries much larger amounts than any pen drive can. It also wraps that data around various services that ensure backups, security, and extensive availability. Security of the data means making it available only to its authenticated owner, and never letting it fall into the wrong hands. It means not making it available to those people that try to access it illicitly (ie hackers). Security means the data doesn’t fall prey to any unauthorized access. It also means the data won’t get lost. Cloud companies escape data loss by having many servers which they use to replicate its users’ data. This means they store the same data on different servers, so if a power loss or a data loss occurs to any one of those servers, the data is still safe on various other servers. The data you put into the cloud drive is automatically backed up onto the server, and any changes you make to those files will be synchronized. This allows you to access the most up-to-date files that you’ve stored for yourself, from anywhere in the world. This eliminates the need for manually deleting the previously uploaded files and re-uploading them whenever any changes are made. That’s a great relief if you work with files that need to be regularly updated and are saved online. Today, people aren’t only using computers in their daily lives; they’re using smartphones, tablets, PCs, etc. All of these devices are originating from different companies. That means platform diversity (ie different operating systems) for external services is essential. Sometimes, compatibility issues arise for some software services due to the difference in platforms. But these cloud storage services don’t have such trouble. Most of the prominent storage services are compatible with all platforms. This means that once you start using any cloud storage on any type of device (say your PC), you will be able to access your data on all of the most widely-used platforms in the world. This is possible because cloud services provide various apps for Android mobiles and tablets, Windows Phones and tablets, iOS, OS X, Blackberry, etc. So, you will never have to worry about your data’s availability (or unavailability). These are some of the most important aspects of storing your data online. Now, let us discuss some of the most widely used providers of these cloud storage services. A cloud drive works just like a hard drive partition in our computers. Once they are installed, a new (virtual) drive is shown on your machine where you can input your data to be automatically uploaded onto the server. Google is something that is omnipresent in the tech world. It provides a widely used email service, a social network, an online document/spreadsheet service (…and the list goes on). Now, with its cloud service, Google Drive, it has brought most of its services under one roof and is providing them all with a combined free space of 15GB. Also if the user is very impressed with these services (which they will be) and wishes to get more space on the cloud, there are many cost-effective plans available for purchase . Amazon is already a big player in the field of e-commerce. Recently, they’ve broken into the technology device market, too, with the advent of Kindle devices (eBook readers and tablet PCs such as the Kindle FIRE). Not stopping at being just a vendor of online goods, or serving only those who use their devices, Amazon provides their cloud storage services for every typical user of today’s technology. 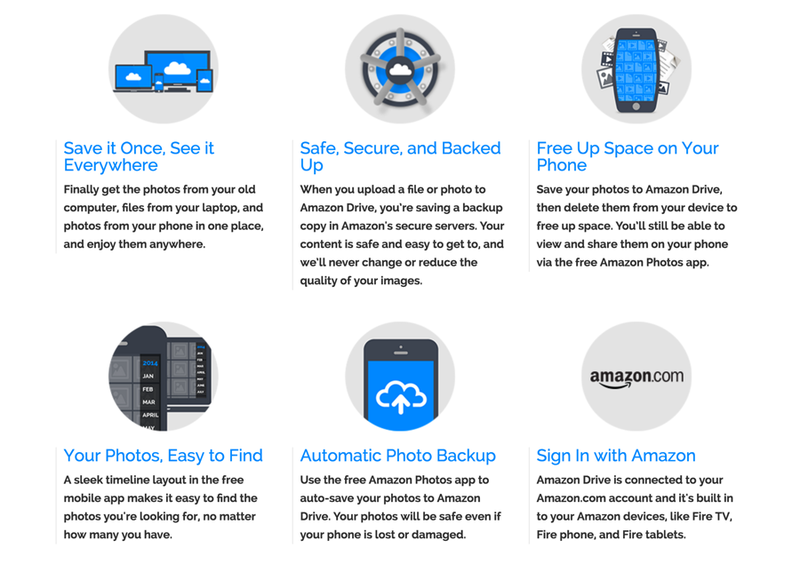 Amazon Cloud Drive provides 5GB of free space to the user & unlimited storage for photos. If your cloud requirement is just to store your precious photos, Amazon Cloud Drive is the best option for you. They offer a 3 month free trial & if you wish to get unlimited storage, you only need to spend $59/year. OneDrive is another great product from Microsoft. It provides 5GB of free space for everybody and an additional 50 GB for only $1.9/month. Their previous email service, Hotmail.com, has been transferred to Outlook.com which is associated with SkyDrive. This means that all of your mail services are linked to your cloud storage (just like in Google). To use this cloud space, you don’t even need to install SkyDrive on your computer. Simply login to your SkyDrive account and start uploading your files. And it has a pretty catchy name too… SkyDrive… for cloud storage! Seems legit. Dropbox is another famous cloud storage service that offers its users 2GB of free space to start with. You can increase your free space by referring users. I use Dropbox for my day to day needs. For added security, they have a 2-step authentication process. 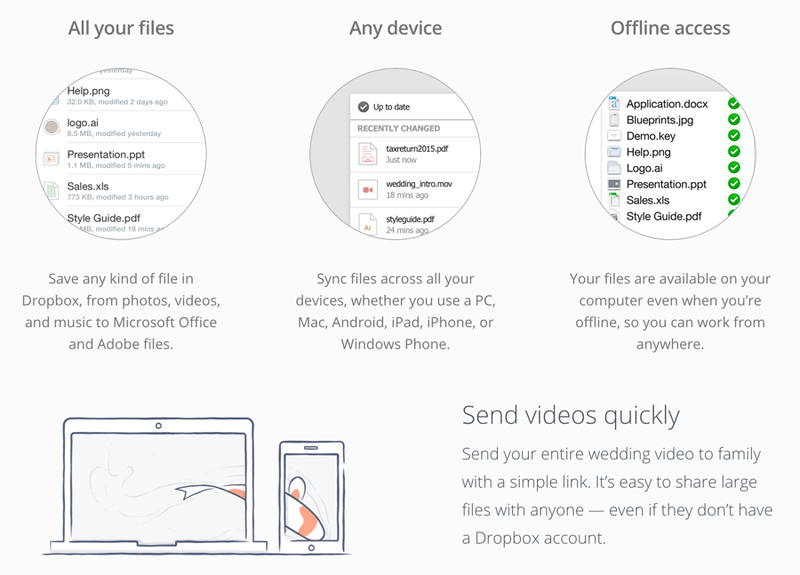 There are many 3rd party add-ons which work brilliantly with Dropbox to extend its features. I have upgraded my account to Dropbox Business & it was one of the best decisions I have recently made. For about $99/year, I get 1 TB of cloud space, which is enough for my personal needs. The files put in Dropbox can also be linked with different accounts for sharing. It can be accessed from many kinds of mobile phones and tablets. 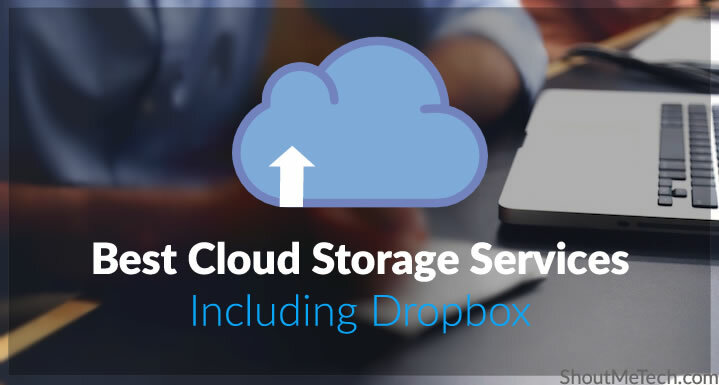 It is one of the most highly used cloud storage services in the world right now. BitCasa – Infinite Drive is one of the coolest cloud storage services out there. It provides a massive 10GB of free space for the user. And the coolest thing about BitCasa is it is an infinite storage medium, offering unlimited storage (which explains the name Infinite Drive) for $99/yr. No other service mentioned here offers this. Flickr is nothing less than a gift from Yahoo! for the world to store photographs with a gigantic space of 1 TERABYTE (yes you read it right, 1TB!). 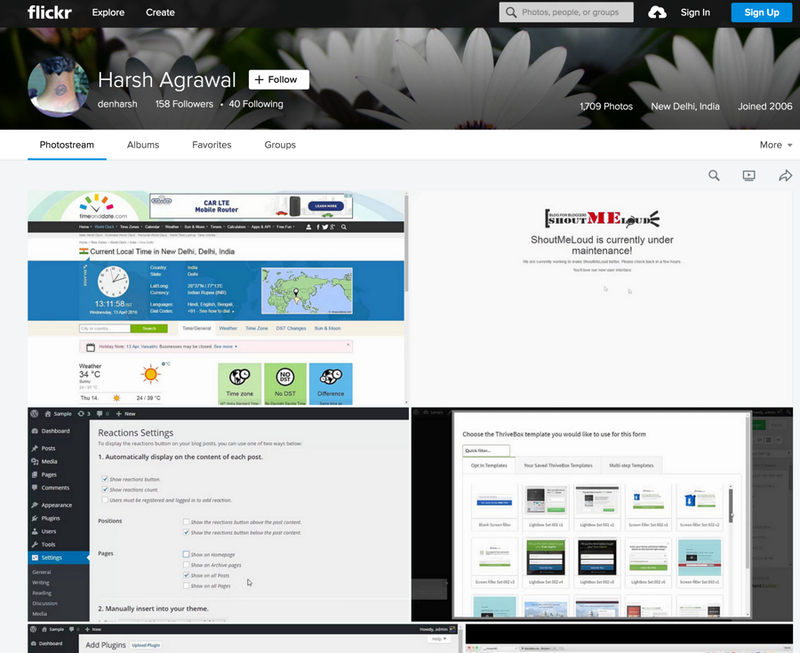 By using Flickr, you will never need to resize a single photograph to serve the online space’s inadequacies. You can just upload as many photographs as you can to fill the 1 terabyte space to manage and share them with the world. Personally speaking, once you signup and take a look at the random photographs Flickr displays on their website, you will get to understand the real beauty of the world out there that you haven’t explored yet. Don’t miss that awesome sight of seeing the world’s best photographs! Which cloud storage to pick? Each of the above cloud storage services are very popular & you should pick one depending upon your usage. For example, if you need to store HQ photos on the cloud, Flickr & Amazon are both great choices. If you need to share docs or video files, Google Drive & Dropbox are the best. For my personal usage, I rely on Google Drive & Dropbox. I would love to hear which one you are using & which one from the above list you would recommend to others. If you’ve found this guide on cloud storage services useful, do give us a Shout by sharing this post on Facebook & Twitter. Thank you for this great post. Can you please tell me if there’s any free file hosting service available? Google drive has annouced to stop such services therefore I really appreciate if you can suggest me any other alternative for file hosting. ya right!! 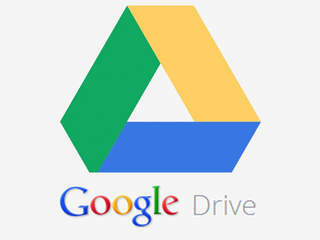 Google drive and dropbox are one of the best storage devices or we say the best solution to store the data. Brother Please add mega as its have many good features plus 50 GB storage in free account. Thank you for the information in your post. Its gonna help me a lot.According to Amazon Cloud Drive is better then others. Any way great list of cloud storage devices. Waiting for more helpful post like this one.